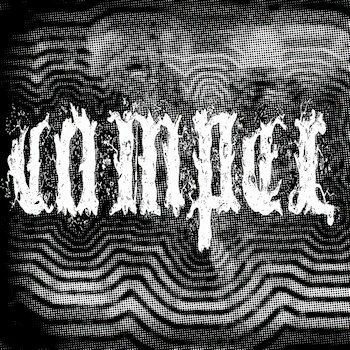 Compel is a two piece Swamp Doom band from Summerville South Carolina (just outside Charleston SC). Compel consists of myself (Joe Horne) on guitar and Tim Davis on the kit. We write instrumental songs inspired by legendary and crytozoological creatures and paranormal theories or anything we are interested in really. We formed two years ago via a craigslist ad when I was unable to find other doom musicians, Tim answered and we have been together ever since. We have managed to record our first EP with three songs which runs around 41 minutes. All engineering and production credit is given to Jay Matheson (worked with Phil Cope on Baroness, Fight Amp, Kylesa and Dark Castle recordings) of the Jam Room Studio (Columbia SC). We are going to be touring/playing many shows across the southeastern US over the next few months so hopefully we make some noise and stir up the doom community a bit. Hopefully our tunes intrigue the thought process, listen loud and enjoy the ride. "If this is your first foray into what would be called Swamp Doom, then you might as well start things off right with this muddied two-piece monster from the swamps of South Carolina known as Compel. Heightened by the brilliant production of Jay Matheson, this all-instrumental band takes you on a harrowing and ridiculously fuzzy trek filled with an abundance of caked-on riffing, drowsy tempos and gratifying intensity. As with many instrumental bands that play off one riff, which may lend to a lack of interest, Compel does a tremendous job at pushing the envelope by using different guitar effects, well-placed tempo-changes, and an insane amount of murkiness, this new EP makes for a compelling (sorry had to do it) and overall aural bulldozing."